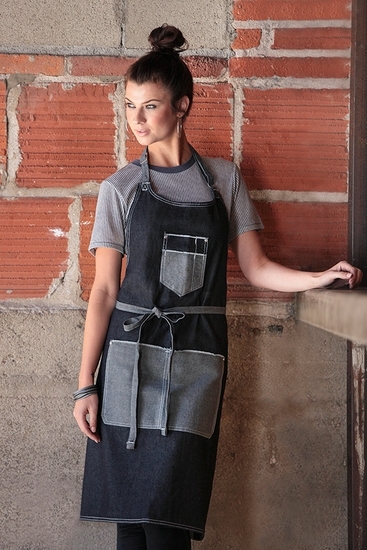 The Scoop Neck Bib Apron is manufactured in 100% cotton denim. The contrasts have been created by using both the front and the back of the denim fabric to give it a chic look, an ideal look for an urban style restaurant uniform. 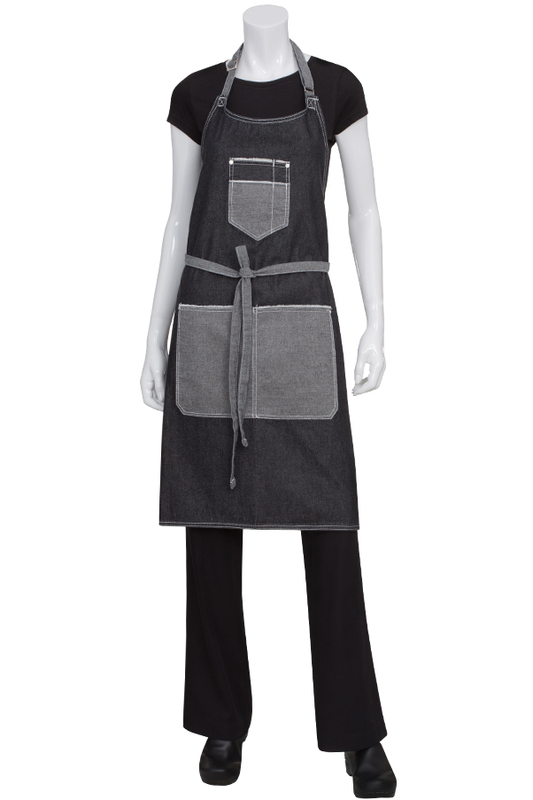 This apron features a large divided pocket with frayed top edge detail and riveted pocket ends. The chest pocket is accented with contrasting fabric, and has a pencil divide. - Wears just like your favorite pair of denim jeans. 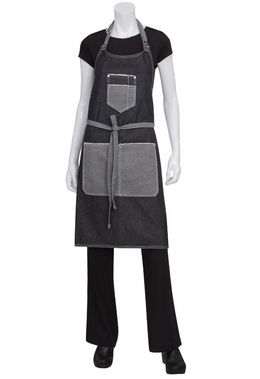 For ease of coordinating your restaurant uniforms with your existing decor, the Bronx Bib Apron is available in your choice of Black or Indigo Blue. The white top stitching add visual interest and contrast to these dark denim shades.